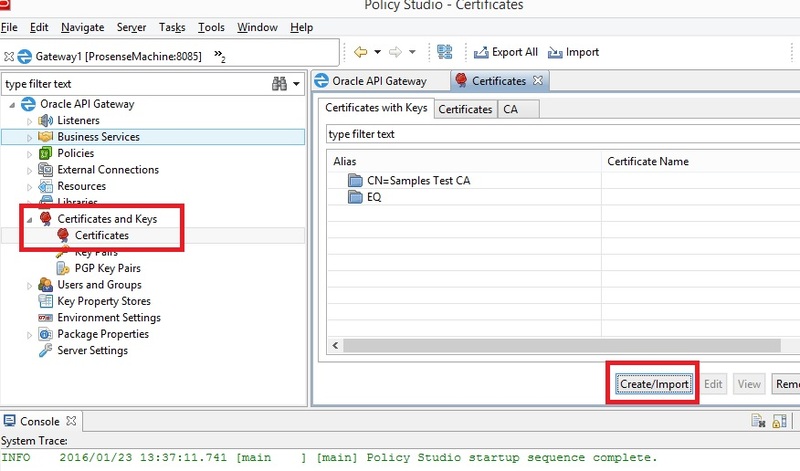 In this blog post I going demonstrate how to create a FTPS server inside the Oracle API Gateway (OAG). This policy is used to handle the incoming file coming from the ftps client and this is required to create ftps server listener. Under Policies --> Create container "File Transfer" --> Right click and Add Policy, give the name of the policy "FTPS Incoming"
Open the FTPS Incoming policy, from the right menu go to Routing --> drag n drop "Save to File" filter. 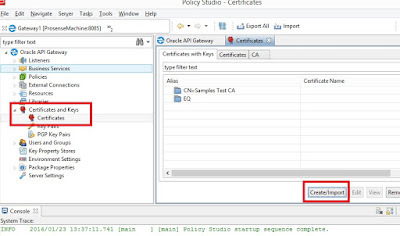 Add new policy similary created for FTPS Incoming policy, give the name "Password Authentication"
You can use any client like Filezilla or WinScp to test the FTPS connection.